The Edible Garden Nursery is at the Boconnoc Spring Garden Festival this Saturday and Sunday 7th and8th April 2018. Come and see us and lots of other lovely nurseries and get your garden ready for the coming season. As mentioned in the Guardian newspaper today we have Perennial Green Kale in stock. It has been outside all winter, on the edge of Dartmoor, so is hardy and ready for potting on. Can be eaten both raw and cooked. The Edible Food Garden will be at the Wells Food Festival this Sunday 8th October 2017. Come along and see the different edibles available. There is a huge variety of stalls available for you to browse. We are once again exhibiting at the Lustleigh Show this August Bank Holiday Monday. 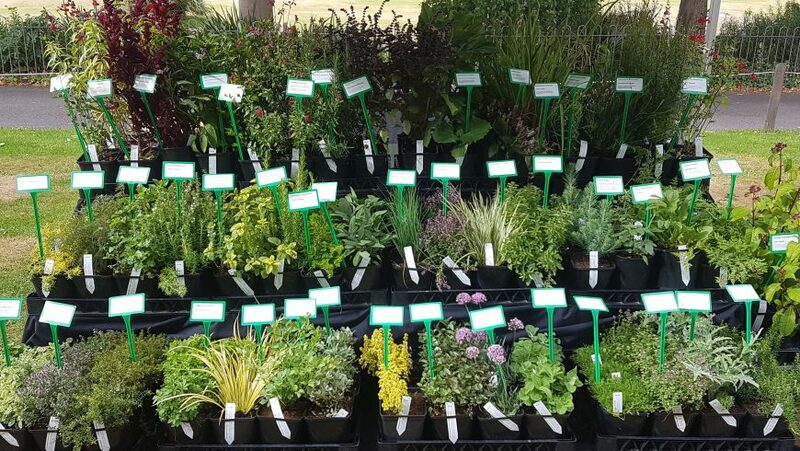 Come along and see new varieties and have a taste of some delightful edible plants. Fun for all the family at the Lustleigh Show. See you there! The Edible Food Garden will be joining Teignmouth Farmers Market on Saturday 26th August 2017. Come and sample some different culinary delights and add some variety to your kitchen garden. Enjoy some luscious fruit from Shute Fruit also. The Edible Food Garden are proud to be participating in Sidmouth Food Festival this Saturday 19th August 2017. It is being held at Kennaway House close to the bus station in Sidmouth. Come along and try some new tastes and produce. The Edible Food Garden are participating in the Chenies Manor Garden Festival this coming Sunday 16th July. Come and see a lovely variety of nurseries from around the country to supply all your garden needs. We had added a new feedback section to our website. Please feel free to give us your feedback on our service and products. Find it in the About us section of the website.